I like your pictures with the setter very much. They definately show I'm not the only crazy one driving around with a dog in the miata. 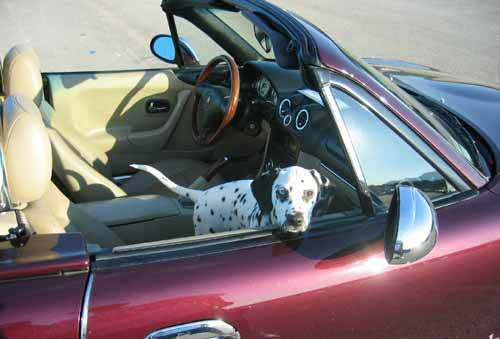 Like you, I'm crusing with a quite big guy as my copilot is a dalmation. Damir, your pics with the afghan are also wonderful. Blue Sky to all of you! All I ask: The sky above and the road below me! that's My when he was a puppy, he's grown up now, but we haven't taken any recent pictures yet.